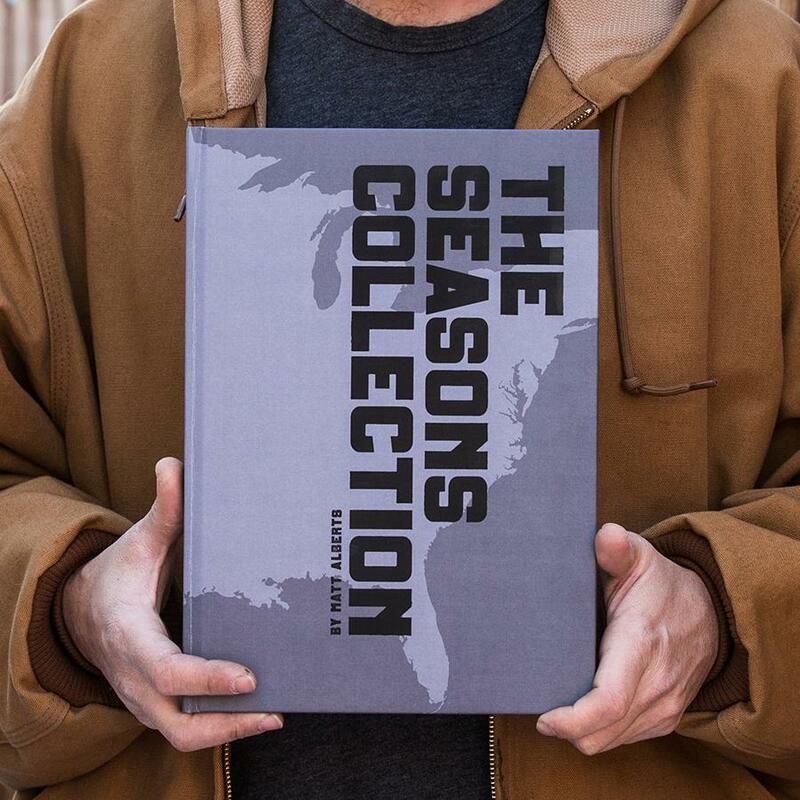 The Seasons Collection book By Matt Alberts. 11.75 x 8.5 inches, 160 page first addition, Foil stamped hard cover. Photographer Matt Alberts drove a caravan of Cadillac Escalades and Airstream trailers across America in a quest to document the culture he loves. 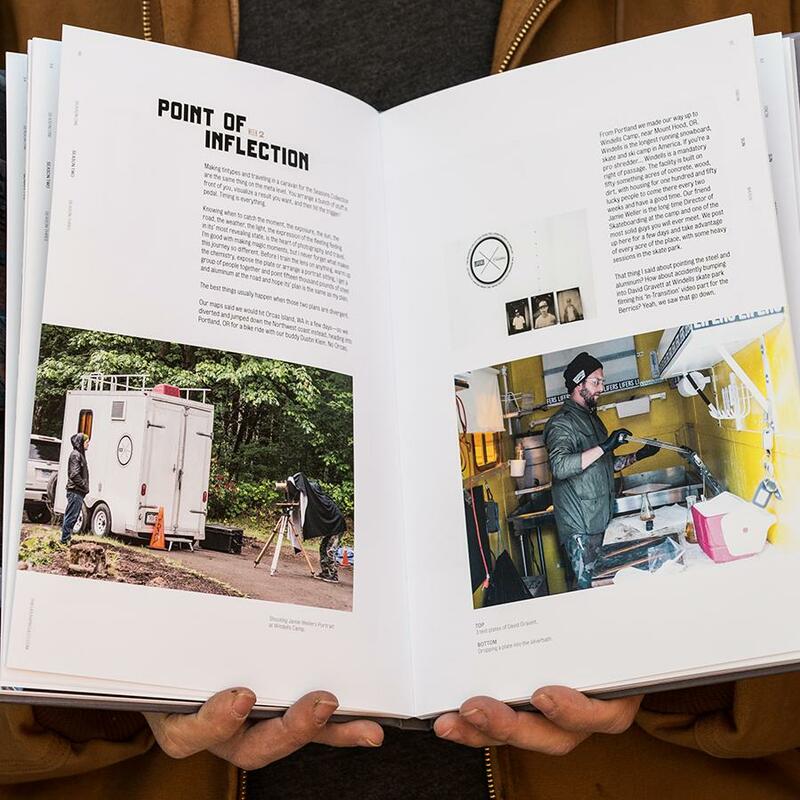 The result is The Seasons Collection: an unforgettable and authentic window into the heart and soul of the people who have dedicated their lives to the skate, snow and surf culture. 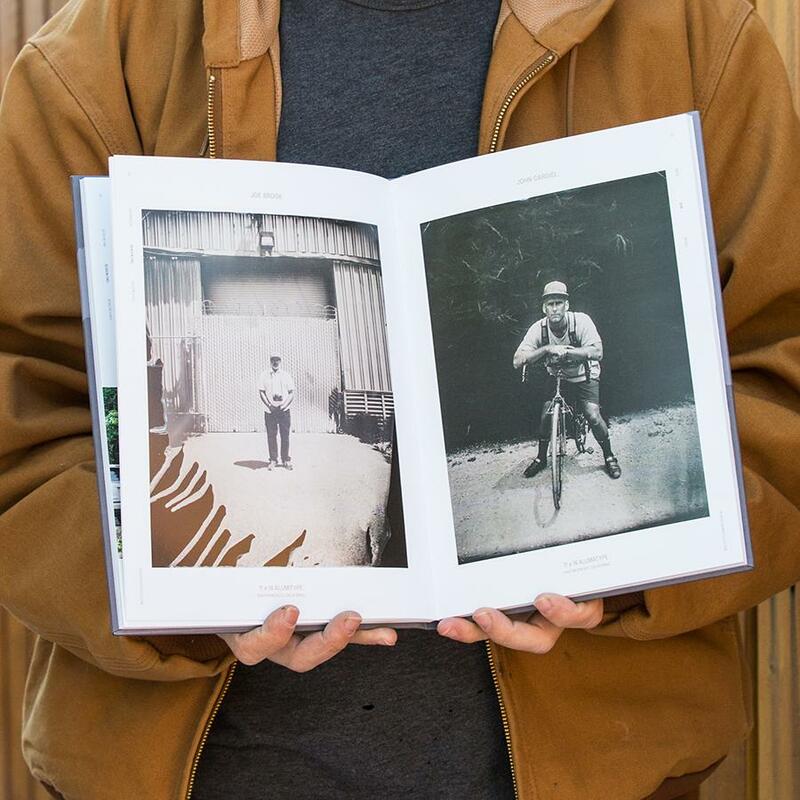 Illustrated through an engaging series of handmade photographic tintypes.